Those who follow me on Facebook would know that I have been attending Bikram classes at Bikram Yoga Harbourfront daily for the past 18 days religiously. It is still tough for me as a newbie but I would like to encourage you to give it a try. There are many articles about Bikram yoga online so I shan’t spend time marketing it here. But if you do want to try a 10-day unlimited pass for $50, please let them know that I have referred you. Thus far I have convinced 5 of my friends to join me already and they are really loving the benefits. 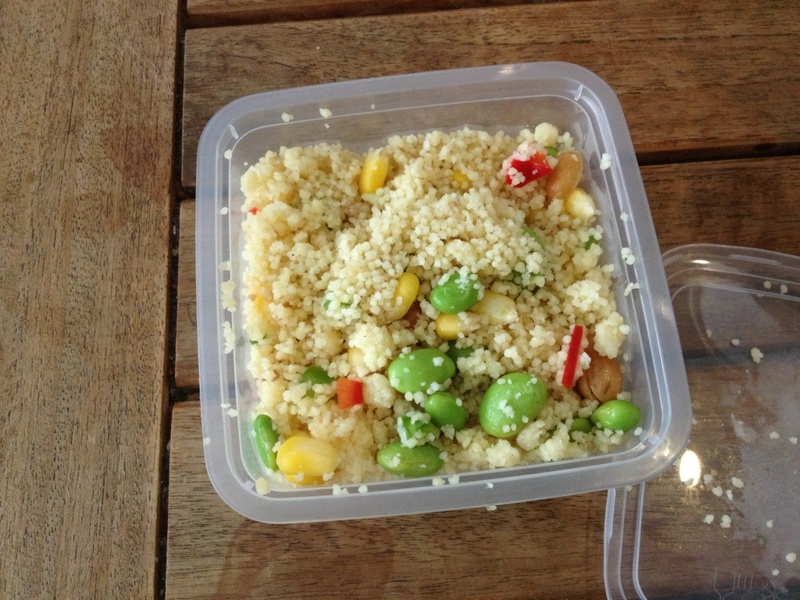 Cous cous with beans and nuts for arvo snack!